LTP Group has prepared a Social Media (SoMe) analysis among more than 250 athleisure apparel brands comparing their number of followers on the largest SoMe platforms; Facebook, Instagram, Twitter and LinkedIn. 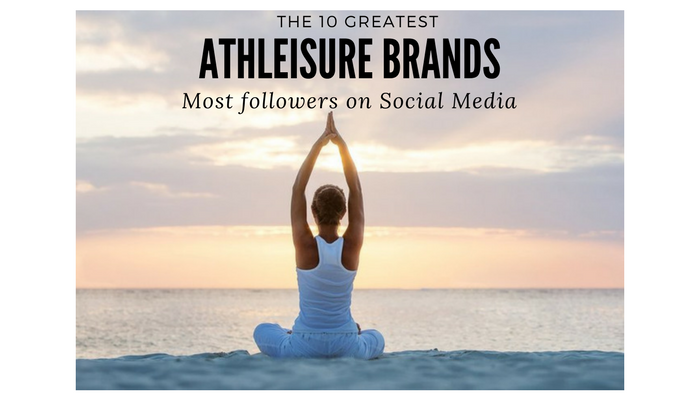 Athleisure brands have in few years generated a huge number of followers on social media (SoMe) comparing with more traditional fashion and outdoor brands. American athleisure brand Fabletics had the highest number of followers (5.7 millions) and Canadian Lululemon is just behind. Gymshark, who is one of United Kingdom fastest growing companies is third largest. American athleisure brands dominate the list with five brands in the top ten. Brands with majority of revenue from sale of other product categories than athleisure apparel are not included in analysis; Adidas Nike, Puma, Under Amour, Athleta, Prana etc. who is number 10 most followed has been with LTP since 2014 aiming to redefine the way women dress, and Sweaty Betty has been offering unique and on trend design from London since 1998. Taking cues from the catwalks, travel and the active lifestyle. LTP brings all the skills from functional garment manufacturing to make excellent technical products for both fitness and yoga brands, but also for fashion brands who want to be more functional, tells CCO Alex Ingildsen at LTP Group. Sweaty Betty styles are developed in breathable thermal fabrics, which will keep the body warm. High waist, flattering seams and slim fit to shape the body. Reflective trims and colorful panels will make you visible outdoors. Feel free to contact CCO Alex Ingildsen - ali@l-t-p.com, if you want to be informed about the rating of your athleisure apparel brand. LTP is a Danish owned garment manufacturer for +60 premium brands within active sportswear, outdoor, athleisure and sustainable fashion. LTP was established in 1991, and is probably the biggest functional garment manufacturer in Europe with bluesign setups in Lithuania, Belarus, Ukraine and Vietnam. LTP consists of two divisions; LTP Garment and LTP Contract Furniture producing in ten fully-owned factories.